We are manufacturing the Specimen urine container with best quality virgin plastic. We can supply any quantity as per customer requirement. LABOWARE offer deatailed specimen of Plant of Epherda for study about Epherda plant. The sputum containers that we manufacture, are made of fine quality material. The container has a wide mouth and is tightly air packed. These are leakage proof and are widely used in various hospitals and other health centers. - Mb lab consumables specimen containers are designed to offer an impeccable hygene factor to provide comfort, both to the user and the technicians. - The containers are packed in multilayer film to ensure a high sealability and to keep the sterility intact. - urine/stool specimen container is used for the collection of urine /stool sample for the laboratory examination. We are one of the well-distinguished companies in the market that are into providing Stool Specimen Container. Having attained a distinct position in the field we are engaged in delivering our clients with large assortment of Specimen Container. This is highly demanded amongst our customers owing to its sturdy built. - Specially designed for collection of urine sample for culture test. MEDILINK offers high quality specimen containers for laboratory needs. 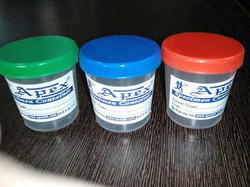 These specimen containers are ideal for safe collection and transport of patient samples including urine, cultures etc. Specimen Containers. Screw-capped, Leak-proof. Wide Mouth. Clear body, with coloured lid. Autoclavable. Popular for large specimen storage and display, sterilisation/collection of used tips, etc. Note : Buyer from local area will be preferred. Matching up with the exact requirements of customers, we are involved in presenting wide array of Specimen Container. Disposable specimen container, suitable for specimen collection of urine, stool, mucous. Made of vergin PP, individually packed and sterilized by ETO.